SBA Chartered Certified Accountants | Bookkeeping made easy peezy…. You are here: Home / Blog / Bookkeeping / Bookkeeping made easy peezy…. With so many choices on how to keep your books we think Xero is the best option for small businesses. Plus until the end of March 2015 we can offer two months’ free subscription worth over £40!! OK, there’s not many of these around these days, but I do know a few people that are still using them! These are frequently used and I am always amazed by the mistakes they contain. There are often errors in the formulas, the formatting could be improved, wrong dates are included – all of which can lead to additional time and costs at the year end. These rely on backups of the software being emailed to accountants at the year end. Not to mention the need of data backups and disaster recovery in case your computer dies. We think this is the best solution, and is something we are passionate about. They offer a number of benefits over the other options above. Firstly, we can log in to see your numbers and how your business is doing simply by logging on to the software. We see the numbers as they happen and there is no reconciliation, or “year end adjustments” needed between the accounts and your software, we make the year end adjustments live in your system. Secondly, you can process your transactions, keep a check on your business’ finances, raise a sales invoice or send a statement to a customer wherever you have an internet/mobile signal. Imagine sending a quote or invoice shortly after leaving your potential customers premises! Thirdly, we can have intelligent conversations about your finances as we can log in at the same time as you and generate the same reports to discuss them on the phone. Finally, real time support and assistance is available, as we both have access online you can talk us through the issues and we can either fix them for you, or simply guide you on how to remedy them. There are a number of cloud solutions available including: FreeAgent, KashFlow, Clear Books to name but a few. Our preference is Xero. It is easy to use and brings out the IT geek in us! It has a nice intuitive feel to it and is very easy to navigate. Whichever method you choose, to reconcile the bank it’s simply a case of getting trigger happy with the mouse. You can set up rules for regular payments, but Xero also remembers where you previously classified similar payments and second guesses where you might want to classify them next time. It does prompt you to confirm it has guessed correctly though, so some human intervention is still required. There are no upgrade costs, support costs, down time or data to transfer to us as your accountant – all of this is included in the cost. There is a relatively small monthly fee for Xero, but you can have as many users as you want at no extra cost. 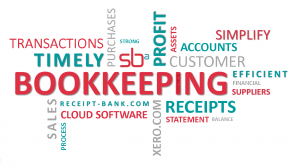 We are passionate about cloud bookkeeping, especially Xero and Receipt Bank. Have a look at our testimonial from David Lowey who talks about how the introduction of Xero has helped his business. If you would like to see what all the fuss is about first hand, we offer a free remote demo, or have a look at the Xero video below. We are able to offer two months free subscription to Xero as long as you sign up before the end of March 2015, so please do get in touch if you’re interested. Are you claiming VAT on mileage? Who doesn't love to receive a testimonial? 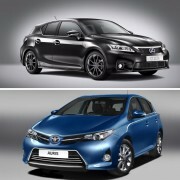 Company cars are rubbish, right? 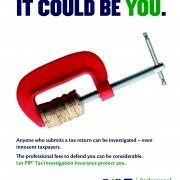 Knowledge is power...... and can save tax! simple but effective Are you claiming VAT on mileage?